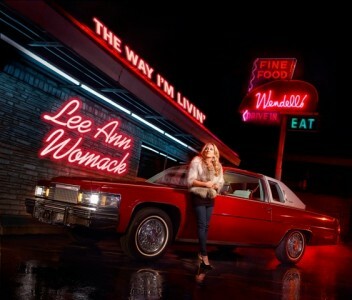 En route to her mother’s house in East Texas, Lee Ann Womack, the “I Hope You Dance” American Country singer, got the call that the 6-time CMA Award winner was once again nominated for Female Vocalist of the Year. And what a year it has been! Starting with a Grammy nomination for Country Album of the Year, Womack earned a pair of CMT Video Music Awards for Female Video for “The Way I’m Livin'” and CMT Performance for her “Crossroads” with John Legend as well as a pair of Americana Music Awards nominations for Artist and Album of the Year. She’s also co-hosted the International Bluegrass Music Association’s Awards with Jerry Douglas, been part of the Fairfield Four and McCrary Sisters’ PBS “Rock My Soul” gospel special with Lucinda Williams, Amos Lee and Buddy Miller, been part of all-star tributes to Waylon Jennings in Austin and Emmylou Harris in Washington, DC. Congratulations on your nominations, Lee Ann! They are well deserved…best of luck to you!